In January 1998, Jobs announced the first positive result for over a year. In May, he presented the next release of a new type of Mac: iMac, offering a compromise between power and money to satisfy basic users. He also explained that the project would be based not only MacOS X Rhapsody (NeXT technology) but also on MacOS 8. The year 1998 was a year of profit for Apple iMacs are selling like hotcakes. In 1999, the output of the PowerMac G3 Blue and the announcement of the release of the iBook kept up the wave motion. 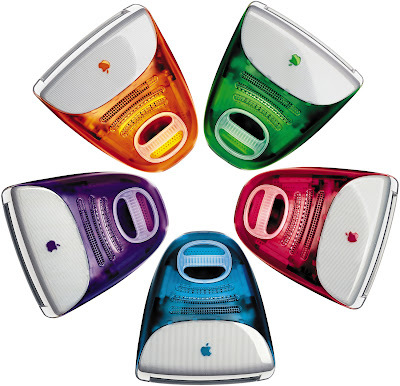 Then came the announcement of the generation of G4 PowerMacs. In January 2000, the release of iTools Internet tools dedicated, demonstrated the new strategy strongly oriented Internet firm to Apple, as Steve Jobs announced that he remained at the head of the company.